Brandy modified by addition of salt. Contains 40% Alcohol. 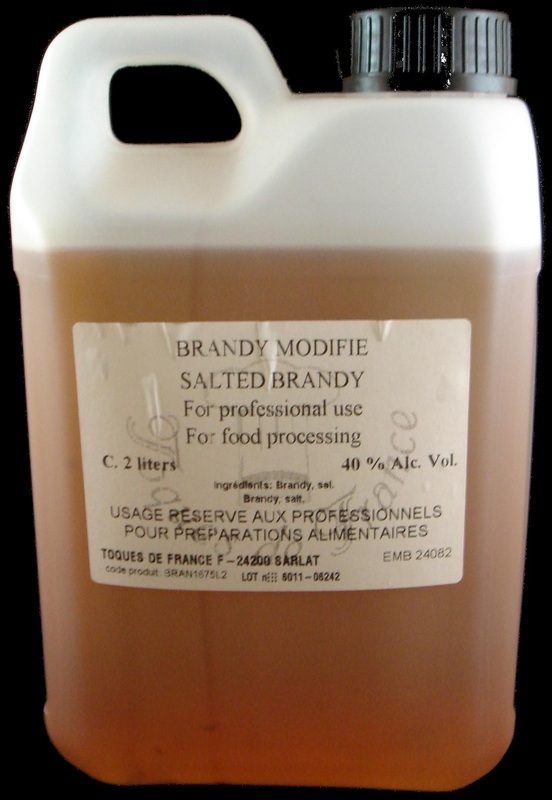 Brandy; Salt; Coloring agent: caramel E150a. This seasoned Brandy is meant to be used only in cooking dishes to make sauces and is improper to be used as a drink.